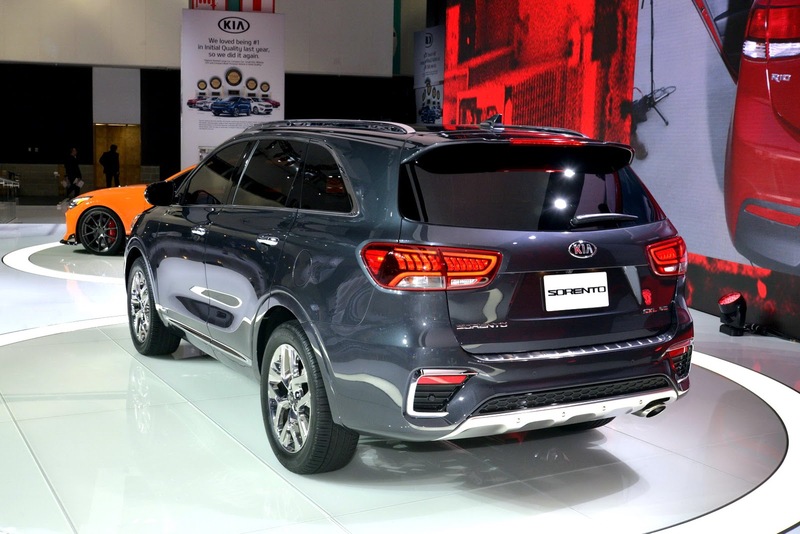 The facelifted Kia Sorento has been brought to the 2017 Los Angeles Auto Show, for its North American premiere. 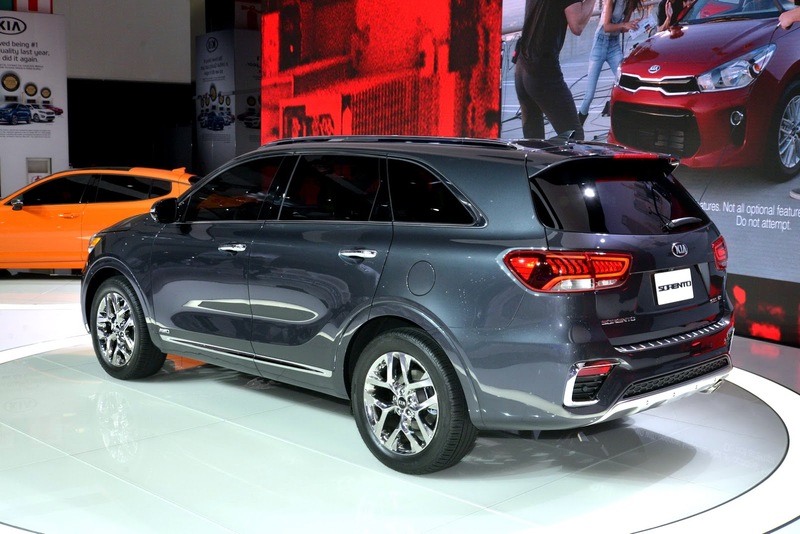 Following hot on the heels of the updated Sorento that debuted in Korea and Europe earlier this year, the SUV carries similar visual updates, inspired by the Cross GT Concept, from 2013. Inside, users will also find other enhancements, such as the revised steering wheel and shifter knob, tweaked instrument cluster with improved graphics, and some changes made to the air vents and center console design. Upgraded AVN 5.0 infotainment, wireless smartphone charging, Apple CarPlay and Android Auto, premium sound system, and others, come with higher grades. The 2.0-liter turbocharged I-4 has been dropped from the engine lineup, which includes a 2.4-liter inline-4 GDI, rated at 185hp and mated to a revised 6-speed automatic gearbox, and a 3.3-liter V6 GDI that makes 290hp, connected to a new 8-speed automatic transmission, which comes from the Cadenza. The latter version has a towing capacity of 5,000lbs (2,268kg), when equipped with AWD. Another novelty is the addition of new Smart Shift & Drive feature, which replaces the Drive Mode Select setup on all trim levels. The system can automatically activate the optimum driving mode, based on the driving style or driver's preference, and choose from Eco, Sport and Smart. 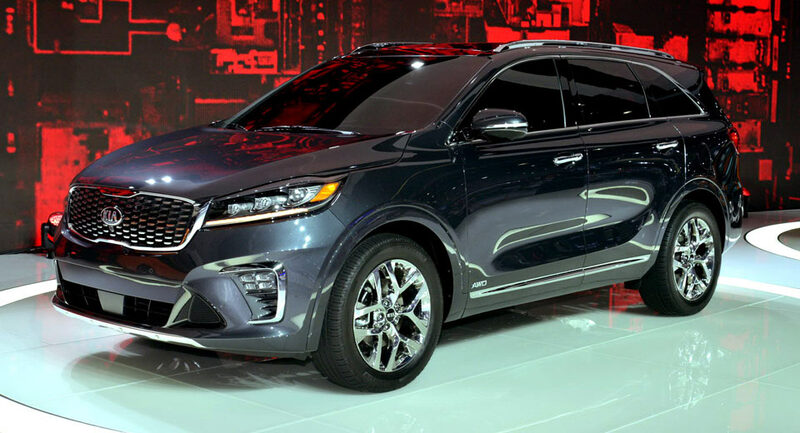 Finally, Kia has made the Advanced Driver Assistance Systems standard on the EX grades and higher, and continues to offer standard active safety features such as ESC, traction control, brake assist, hill-start assist, and electronic brake force distribution. 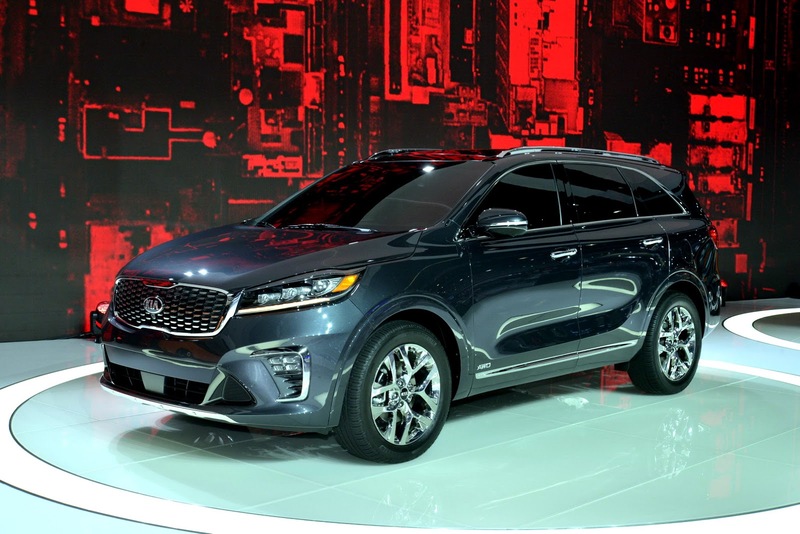 The 2019 Kia Sorento will go on sale next year in five trim levels, called L, LX, EX, SX and SXL. Pricing will be announced in the coming months, but expect a slight bump over the 2018MY, which can be had from $25,800.